Small B2B businesses face complex problems in today’s marketplace. You’re dealing with stiff competition from global importers who drive down prices and, at the same time, trying to get a foothold in an industry full of well-established and anchored domestic competitors. If you can’t offer the lowest prices or the lightning-fast service of big, high-volume operations, how will you compete? Every B2B small business can carve out a niche, even in tough industries. It’s just a matter of finding what resonates with your customers—then making that bit of gold work for you—so you can nab more sales and grow your B2B business. Consider what you have to offer and define what makes you stand out. When you know your strengths and weaknesses, you can craft your corporate image, branding and marketing in an honest and unique way your customers will love. 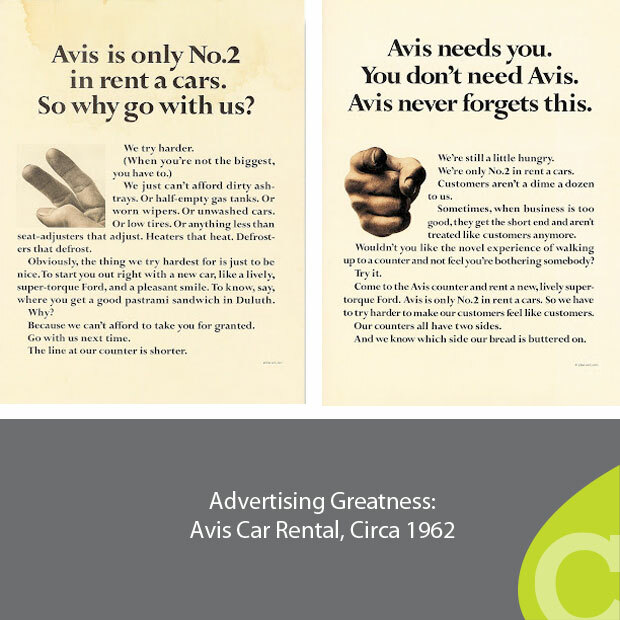 Remember that old Avis campaign? “We’re number two, so we try harder.” It worked because of its fresh and honest approach, not to mention its hardworking appeal to the average American—their customers could relate, and gaining that ground was worth millions. If you’re an SMB, you may never be #1, but you are most certainly unique. You’re not trapped in layers of corporate hierarchy, so find your angle and own it. Show your customers what you’re passionate about. Be fresh. Be honest. Drive your point home. Maybe you can’t deliver tomorrow, and maybe you can’t offer the lowest prices on the market. Those are powerful incentives…but not necessarily as compelling as other things you can offer that giant “faceless” companies simply can’t match. Share your expertise. Make knowledge your top selling point by hiring and training well-qualified employees and giving them enough autonomy to address each customer’s problem on a personal level. Your people should be able to listen and respond with real solutions, not canned responses. Focus on quality. Your customers want to feel valued. Stress the importance of custom solutions built from the ground up. Build your reputation on precision and quality construction and/or service. Small businesses have a reputation for caring more about their customers. Capitalize on that feel-good feature. Cut out the middleman. If you can cut costs by, for example, shipping directly to your customers, consider doing it. If you can offer your B2B services without relying on a third party, consider going for it. Distribution channels add costs you may be able to eliminate…thus lowering costs without lowering quality. After you’ve defined your best selling points, you need an actionable plan to build your brand story and establish your corporate culture. It must be a top-to-bottom marketing solution with every member of your team on board. Management, marketing, sales, product experts, and customer service reps should all be in the know and ready to go. To put your vision to work, sales and marketing need to coordinate and collaborate. Marketing needs to know how to identify hot leads and sales needs to follow up every step of the way. Treat your existing customers like the old friends they are and offer support and information no matter where they are in the buying cycle. Give your team the tools and information they need to succeed. Fresh, informational website content will help keep your existing customers engaged while helping you sell to new customers. Tailor all your content marketing efforts to address specific needs within your customer’s industry. What are your top 10 customer FAQs? Be sure your website content points your customers straight to helpful, informative answers. Visual presentations, recent testimonials, detailed case studies and industry-specific product and services comparisons can help you communicate your value to potential B2B customers. Appealing content includes slideshows, photos, and even video—not just endless streams of text. Your customers deserve better. If your customers need technical specs, present them in a fact sheet with easy-to-scan bullet points, instead of a headache-inducing jungle of words. Sungard AS won big a couple years back with a clever marketing ploy. They did something pretty unusual in B2B…created an infographic that harnessed pop culture while addressing a common IT concern: it compared “moving to the cloud” to surviving a zombie apocalypse. Yes, you read that right. The infographic went viral, and Sungard ran with the concept, building out more zombie-themed informational content. And guess what? Yep, their target market LOVED it. You’ll close more deals if you work to understand both why your business is unique and how you can best meet and exceed your customers’ needs. Pinpoint your customers’ pain points and create targeted content to draw in new customers and keep your existing customers happy. Answering your customers’ and prospects’ questions and concerns while educating them about your small B2B venture—now that’s always win-win. Tie it all together, collaborate and get creative and you’ll nab more sales than ever. Check out these five case studies to learn replicable marketing strategies from leading B2B manufacturers. No matter what industry you’re in, the competition is heating up. Traditional marketing methods simply aren’t enough anymore. Get this step-by-step guide for creating a workable content and social marketing strategy for your B2B enterprise — Get ahead of the curve.